Have you noticed this adorable trend? Tropical Flamingo parties are this year's favorite theme! It's festive, versatile, and brings all the good feels of Summer vacation. I love it for pool parties, birthdays, bridal showers, baby showers... pretty much anything. Doesn't it just scream "SUMMER?" Everything here (except the table runner) is available as a printable (great if you're overseas and don't want to pay postage), or printed for you. Your custom poster can say whatever you need it to. It's gorgeous on the wall behind your buffet table, or displayed on an easel. We added foam-core backing to this to display on the easel -- very easy to do at home with a little spray glue. 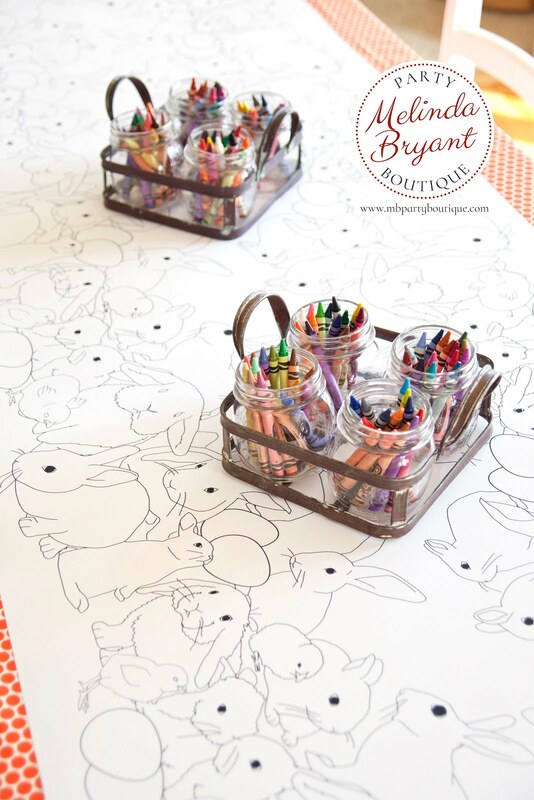 This table runner coloring page is a kid magnet -- this photo shoot proves it. Know why? This was meant to be a product shoot -- no kids were invited to be a part of it! My little boy and his friend were eyeing the crayons, and asking a million questions, so I finally just let them enjoy themselves. 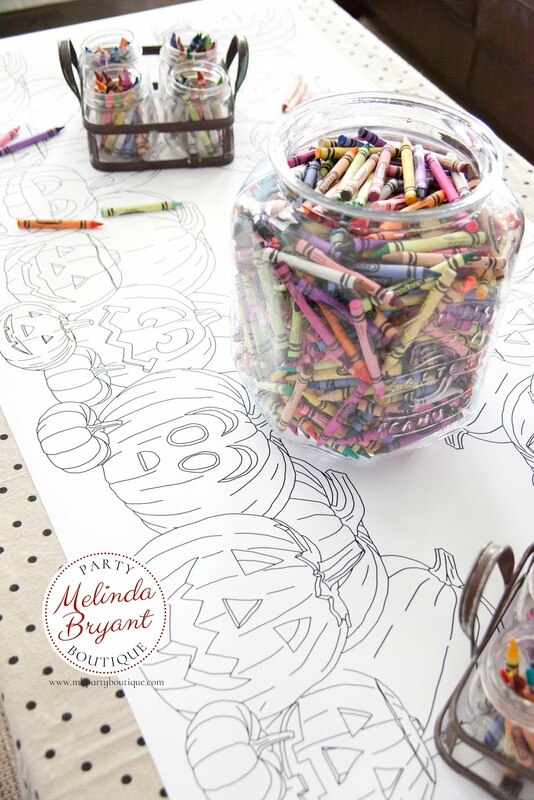 These are always a huge hit at our parties -- with the kids, parents, and even grandparents. They bring everyone to the table for fun and conversation. Stickers: The easiest way to customize your party. Everyone loves swag! 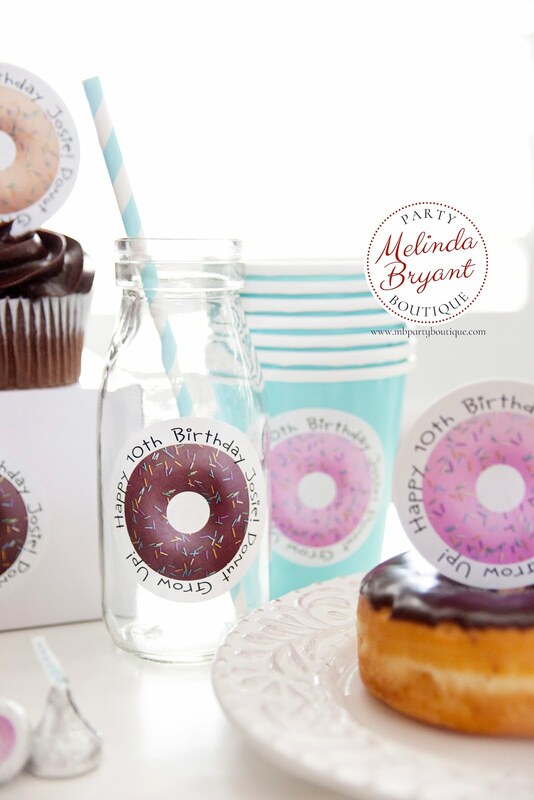 These sweet treat toppers are printed on pearl linen paper for a little shimmer. They ship to you cut and scored for easy folding. Chocolate. These gorgeous candy bar wrappers are printed on glossy paper for a classic candy wrapper look and feel. Your guests will love them! Stay hydrated! Aren't these labels fun?! It's all about the details. These little table tents / place cards are also printed on pearl linen paper. They're sturdy and gorgeous and can say whatever you need them to. Available in sets of four. I'm in love with these thank you cards. I can't help it. I love them. Plus they're great stationary to keep in your desk for any occasion. These are available as printables, or press-printed on 125 lb. cotton paper. The quality is amazing. They're postcard style, and envelopes are included with printed cards. Also available as printables or printed. All text is filled in for you, so if you need to include more information that's easy to do. This door sign is 12"x18" and comes to you ready to use. For this party we added foam-core backing and a ruffle ribbon. Melinda Bryant Photography. Simple theme. Powered by Blogger.